The Yellow-fronted Canary has a large range, estimated globally at 9,500,000 square kilometers. It is primarily found in Africa, though it has been introduced to the United States and Puerto Rico. This bird prefers Savanna, Shrubland, and Grassland ecological systems, though it can reside in rural gardens or on pasture or arable land. The population of the bird has not been determined but the species is described as common in many areas despite being heavily traded. The Yellow-fronted Canary does not currently meet the criteria for the IUCN Red List and has an evaluation level of Least Concern. Yellow-fronted Canary: Native to sub-Saharan Africa, this small finch has olive-gray upperparts and bright yellow underparts and rump, a gray crown and nape, yellow eyebrow and cheek, a dark malar stripe and gray legs and feet. It feeds on seeds and insects. Bounding flight, alternates flapping with gliding. Sexes are similar, female is duller. Yellow-fronted Canary: Towards the end of the 1960s, this species was introduced to the Hawaiian Islands of Oahu, Molokai, and Hawaii, where they maintain resident colonies. They can be found in dry, open woodlands and also in cultivated areas. This species is native to Africa in areas south of the Sahara Desert. Song phrases and "chirp" calls. The Yellow-fronted Canary was first described in 1776 by German zoologist Phillip Muller. It is also known as the Green Singing Finch. A group of canaries are collectively known as an "aria" and an "opera" of canaries. Also known as perching birds, the order PASSERIFORMES (pronounced pas-ser-i-FOR-meez) is composed of one hundred and eighteen families of birds, among which are included the insectivorous warblers and the seed-eating finches. The Fringillidae (pronounced frin-JIHL-lih-dee) is a widespread bird family found on most continents and includes two hundred and seven species of finches in thirty-nine genera. Eighty-nine species of fringillidae in twenty-nine genera have occurred in North America and Hawaii. These include familiar feeder visitors such as goldfinches and siskins, the nomadic rosy-finches of the high mountains, and a group with several extinct species; the Hawaiian Honeycreepers. Fringillidae are known for their seed-eating behavior and cheery songs; characteristics that facilitated and popularized the domestication of the Island Canary. Finches such as White-winged Crossbills are also known for their "irruptive" migrations in search of food sources that can make them locally common one winter and absent the next. Fringillidae are primarily small birds with stout, short bills adapted to cracking open seeds and have short legs for a mostly arboreal lifestyle. Most species also have slightly forked tails and long wings, both useful for the large amount of flying needed to find seeding plants. 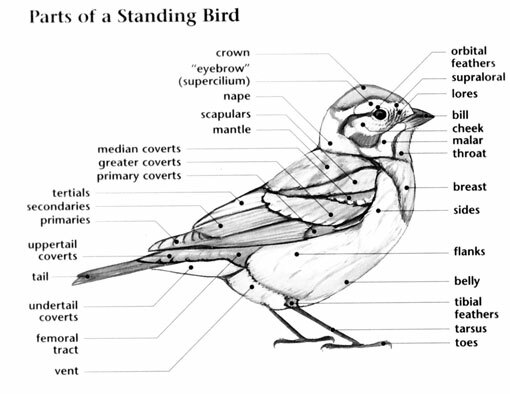 Although some Hawaiian Honeycreepers share this general structure, others evolved a variety of bill shapes related to the habitat niches they occupy. North American Fringillidae are generally plumaged in shades of red, yellow, brown and dull green - these colors being more vivid in the case of the Hawaiian Honeycreepers. Male finches are more brightly colored than females, the yellow and black plumage of male goldfinches being especially striking. Fringillidae in North America occupy forest and non-forest habitats, coniferous forests being favored by most species while native Hawaiian forests are necessary for the survival of the Hawaiian Honeycreepers. The non-forest niche is filled by goldfinches (birds of weedy fields and desert), the House Finch (a desert species that has become adapted to urban environments) and the rosy-finches of alpine snow fields and tundra. Most Fringillidae are adapted to cold weather and only migrate when seed crops on their breeding grounds become scarce. Rosy-finches practice "vertical migration," moving to nearby lower elevations with better supplies of food during the winter. 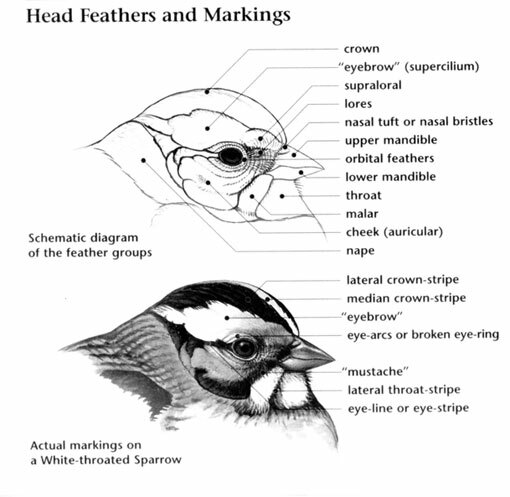 Members of the Fringillidae family are very social birds typically found in flocks outside of the breeding season. Although the rosy-finches take much insect prey on the ground and some Hawaiian Honeycreepers eat nectar, most finches forage for seeds in trees and bushes. While Fringillidae in the United States and Canada are doing quite well, most Hawaiian Honeycreeper species are highly endangered with many having already gone extinct and others in decline because of their high susceptibility to introduced diseases such as avian malaria and changes to the native forests they inhabit. The aptly named crossbills have curious curved bills with crossed tips. Although it looks more like a bill deformity than a useful tool, this specialized bill shape is perfect for extracting seeds from pine cones. Males of the House, Cassin's, and Purple Finch species can sometimes develop yellow or orange rather than red plumage depending upon the amount of carotenoids present in their food sources. Also called the supercilicum or superciliary it is the arch of feathers over each eye. Also called whisker, mustache or malar streak, it is the area below the eye and bill on the sides of the chin that stretches downwards. Also called the hindneck or collar, it is the back of the neck where the head joins the body. 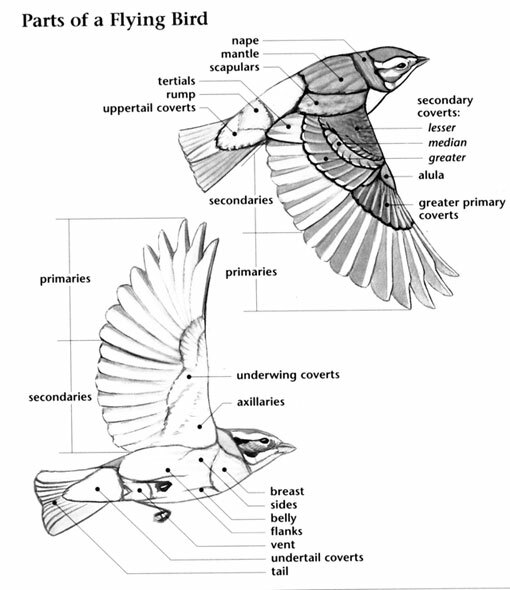 The area between the uppertail coverts and the back of the bird.